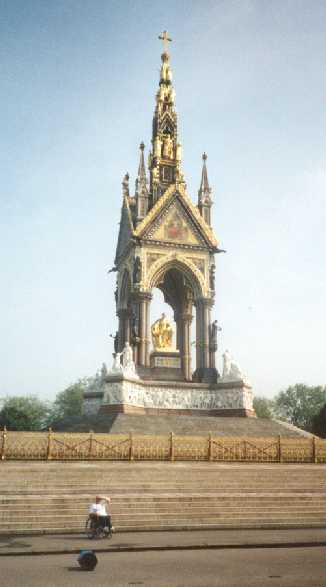 This is the Albert Memorial in Kensington Park. 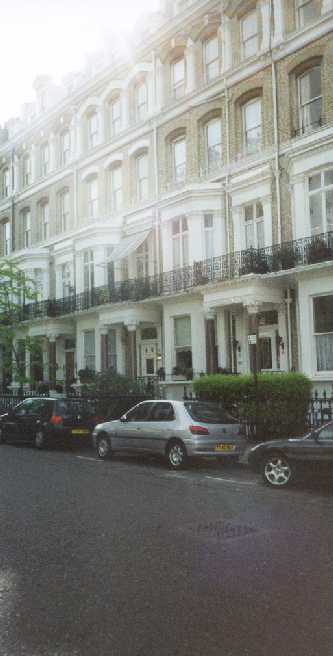 Albert was the husband of Queen Victoria, and by all accounts she doted on him. When he died at the age of 42, the Queen lost it for a while. She didn't come out of doors for years, and she wore the black clothes of mourning the rest of her reign. However, she still tended to her duties, and she set up an obscene amount of monuments and memorials to her late husband. This is one of them. The lady in the wheelchair is my mom. 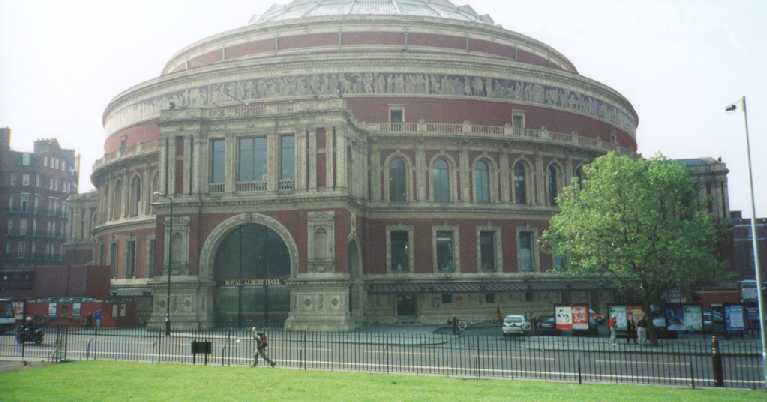 This is Royal Albert Hall, another of Queen Victoria's monuments to her late husband. Here, they have plays and concerts and all sorts of public events. No tractor pulls or monster trucks, though. 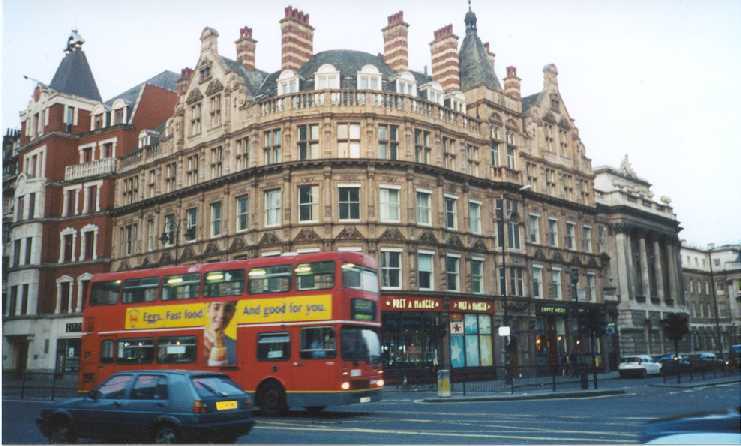 This shot is mainly of the double decker London bus. Pretty cool. London Bridge is falling down, falling down. 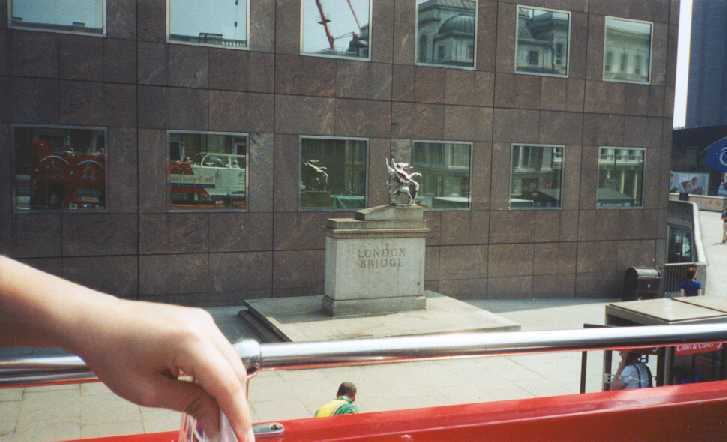 This is the monument to the Great London Fire of 1666. In 1666 most of the city was destroyed in a fire started in a bakery. 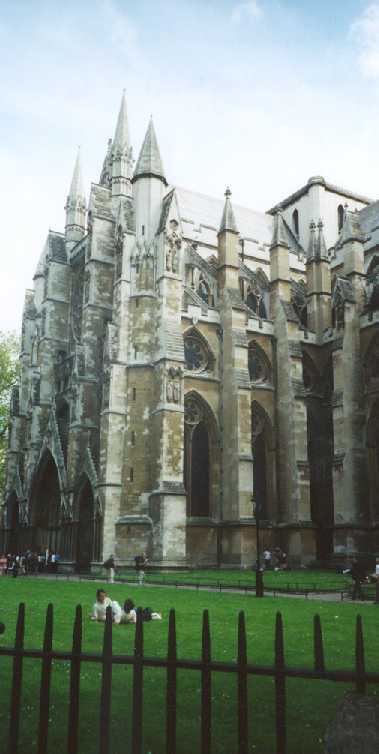 This was built in 1671 by Christopher Wren, the architect that designed much of post-fire London. This is the view from our hotel balcony. 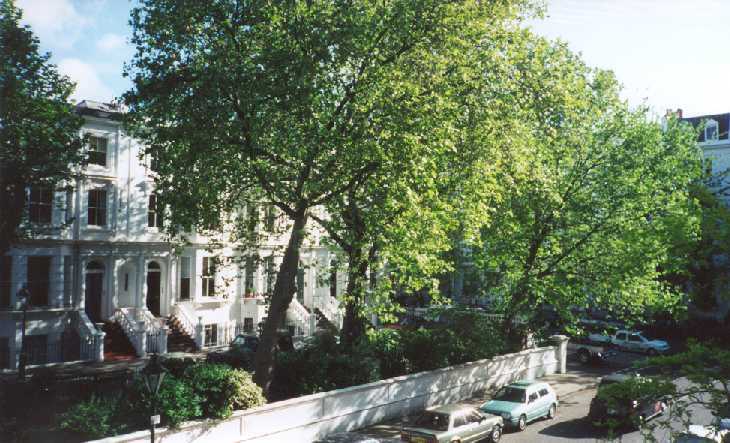 Very pleasant street. 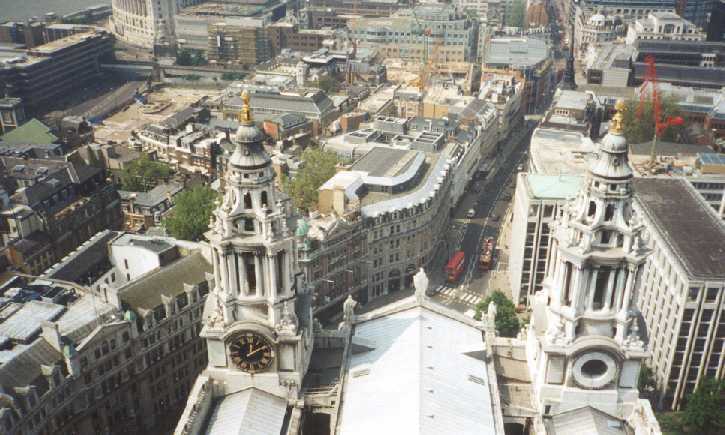 This is the view from the top of St. Paul's. We said, "what the heck, lets climb these stairs." A million stairs and 35 minutes later, our very winded selves made the top. This is Trafalgar Square. 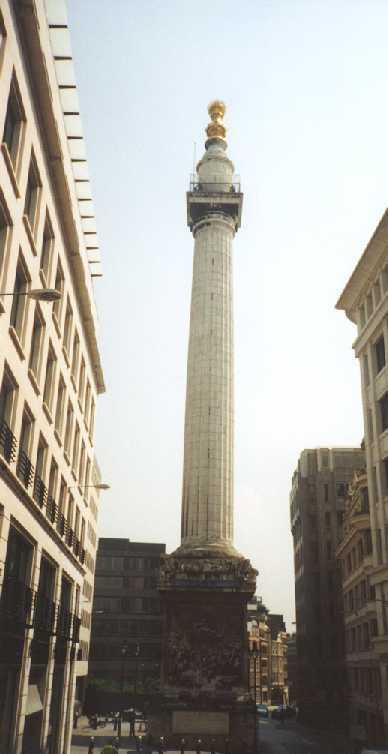 It was built to commemorate Lord Nelson's victory over the French at Trafalgar. 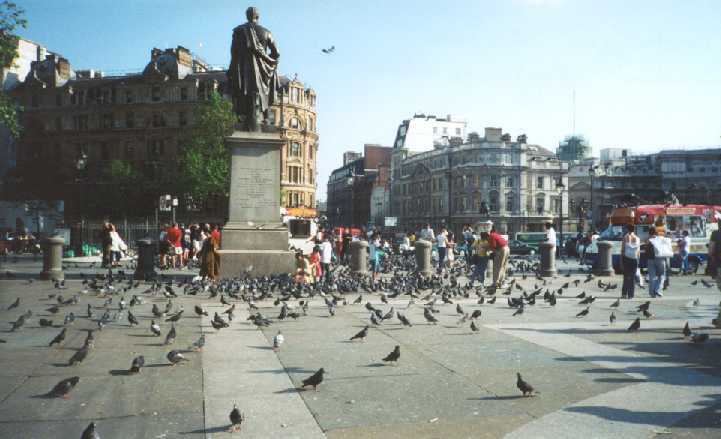 This place was teeming with pigeons. 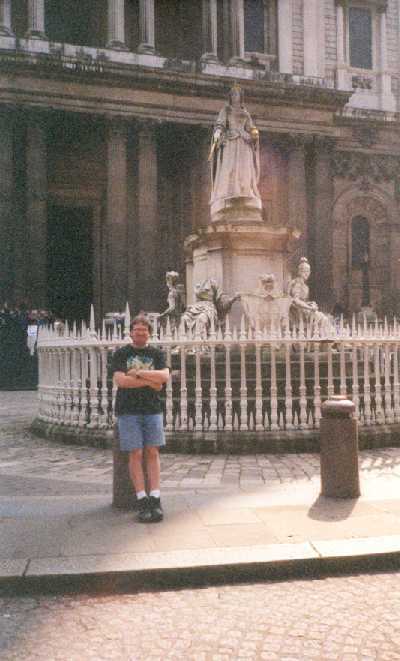 They sold pigeon food there, and the darn birds would sit on your head to eat it. Very strange. 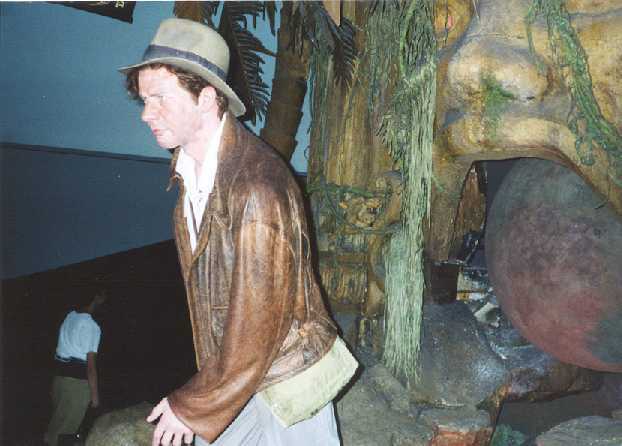 This is the wax statue of Harrison Ford as Indiana Jones at Madame Toussad's. The detail in the statues at Madame Toussad's was amazing. Some of them, you almost had to walk up to and look in the eye to make sure they weren't real. Madame Toussad got her start making wax "death masks" of French royalty after they got their heads chopped off in the French Revolution. As a result, the museum has a rather sizable collection of wax death masks. They also have the guillotine blade used to separate the heads of Louis XVI and Marie Antoinette from their bodies. Its pretty rusty. I imagine it wasn't at the time it was used. This is the Thames River, and a shot of Tower Bridge. 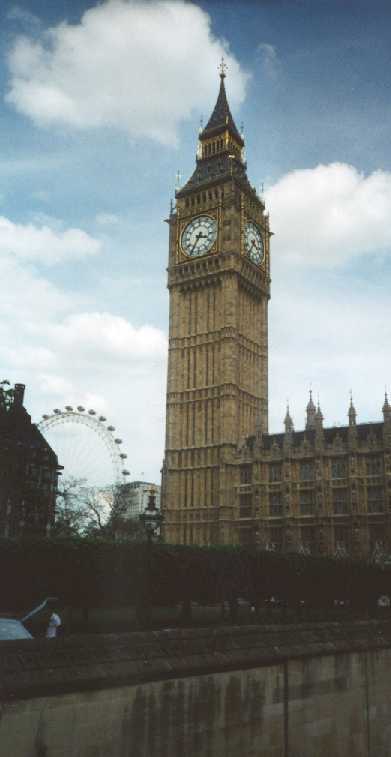 The Thames has been a major shipping route for centuries.